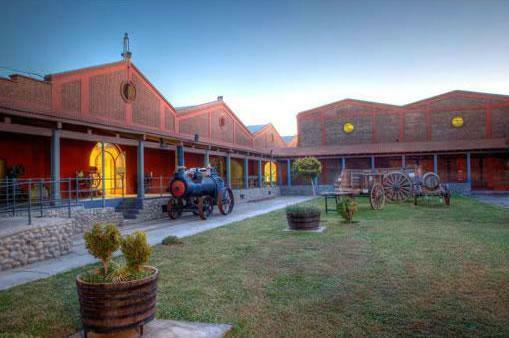 OVER 145 YEARS OF WINEMAKING TRADITION, PASSION AND INNOVATION IN SAN JUAN, ARGENTINA. The history of Graffigna is entwined in the history of Argentina and began when an Italian immigrant arrived in Argentina with the clear objective of discovering a new and unchartered wine terroir. The Winery was founded in 1870 by Santiago Graffigna in the province of San Juan. Santiago Graffigna was a true entrepreneur, an innovator and a risk-taker who gave everything in order to achieve his goals. In 2009, Graffigna was recognized as "Winery of the Year" in the USA by the Critics Challenge and Graffigna Centenario became the most awarded Malbec in 2007-2008. Moreover, in 2010 Graffigna Centenario & Grand Reserve Malbec wines received 90 Points by Robert Parker. Stephen Tanzer 88"Good saturated medium red-ruby. Aromas of dark plum, mocha and woodsmoke. Supple, full and sweet but a bit low-toned, with sassafras and earth flavors dominating. Richer and chewier than the 2011 reserve malbec--more tannic too--but showing less floral lift and verve." Wine Spectator 86"Ripe, with medium-weight plum sauce, fig and blackberry notes backed by ample licorice and toast. A crowd-pleaser. Drink now."